Sold as chocolate chip pieces. 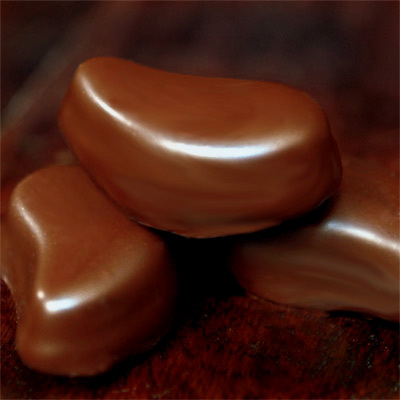 The product photo shows the chocolate enlarged and close up. Belgian Milk Chocolate is the best milk chocolate. Our custom recipe Belgian milk chocolate is fluid and easy to temper. Please melt below 110F so as not to burn the whole milk powder we have selected for this special recipe. This milk chocolate is perfect at showcasing your recipes or eating straight. Our local professional chefs tell us this chocolate is the perfect compliment to most bakery recipes. We have found it to be outstanding in chocolate fountains (it has a smooth flavor and pairs nicely with all types of dipping items like fruit or cookies). This is the milk chocolate we use as our primary ingredient in most of our milk chocolate truffles. It is very easy to use when moulding, especially fine detailed moulds because of the fluid viscosity and wide range of tempering time without becoming over tempered. 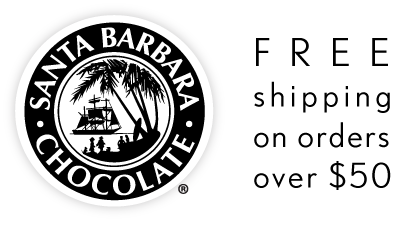 Try it straight from the box and see why it is the favorite milk chocolate with all of our customers. Chocolate dipped strawberries are a great way to express your love and bring smiles to everyone's face. Have an at home date night with the whole family hand dipping fresh chocolate covered strawberries. Melt couverture chocolate with indirect heat at low temperatures (you can use a microwave if you opt for a low power setting and stir frequently). Milk chocolate is best melted below 110F and worked with at 87F for dipping. 3.5oz Butter, 3oz Honey, 16oz Belgian Milk Chocolate Tempered, 2oz Passion Fruit Concentrate (reduced from 4oz). Mix butter and honey very thoroughly. Stream in tempered Belgian Milk Chocolate at 86F mixed well, stream in the passion fruit concentrate and continue mixing. Allow passion fruit ganache to set up and then either pipe into moulds, cut from ganache into shapes or roll into balls and dip in tempered Belgian milk chocolate works wonderfully with this recipe). Sugar, whole milk powder, cocoa butter, unsweetened chocolate, soy lecithin (emulsifier), natural vanilla extract. Manufactured in a factory that handles tree nuts and may contain traces. Best used within 18 months of production date. Fresh milk flavor with subtle cocoa is the taste of our gourmet Belgian Milk Chocolate. A true couverture milk chocolate available in wholesale bulk quantities along with the easy to use fast melting wafer shape, make our Belgian Milk Chocolate recipe the best you've ever had.